The client is a partially integrated operation with its own captive bauxite mines, refinery and smelters, producing primary aluminum. The client is the first in India to have a captive power plant of capacity 270 MW, which was further expanded to 2010 MW in the year 2016. 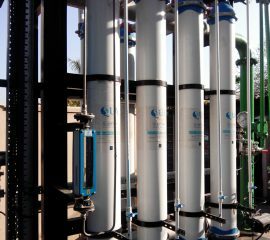 The application involves treating cooling tower blow down to suit the reverse osmosis feed water conditions, by achieving the required turbidity and silt density index. 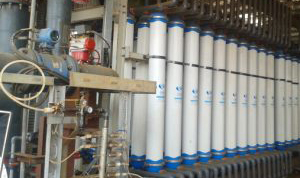 Q-SEP Ultrafiltration modules have been successful with similar applications in different installations worldwide. 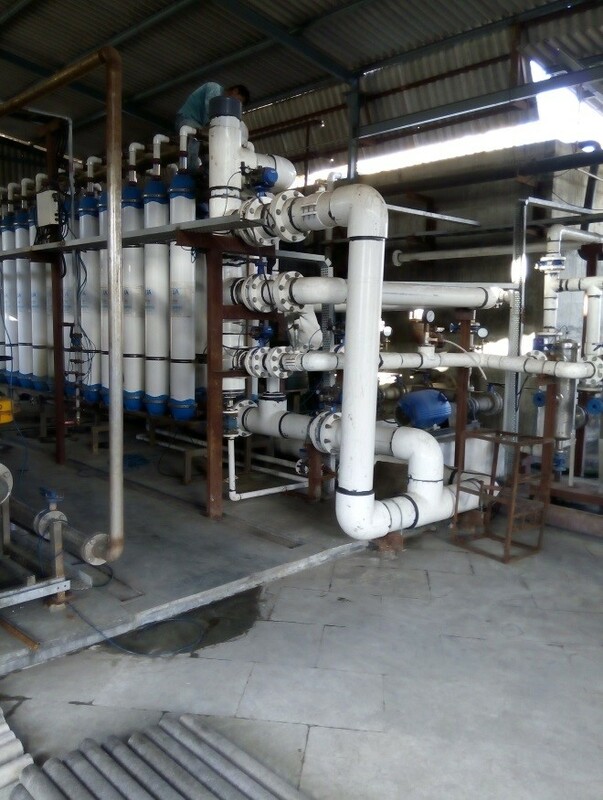 Based on these successful operating references, the client chose QUA’s Q-SEP® hollow fiber UF membranes as the pretreatment solution for the project. Another reason for their selection was the smaller membrane area offered by Q-SEP compared to other UF membranes. 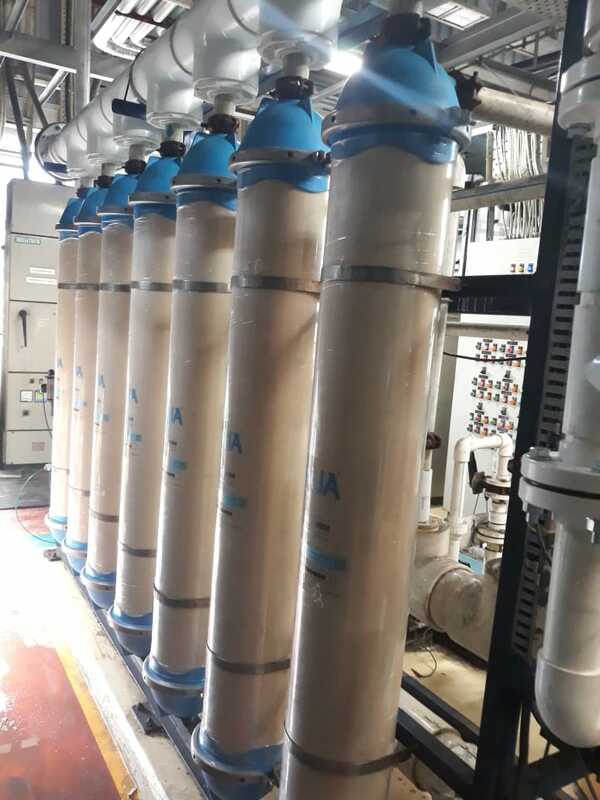 Q-SEP modules have successfully met the plant’s requirements due to their low fouling characteristics, uniform pore size distribution and large surface area which provide high operating efficiency and reliable operation. 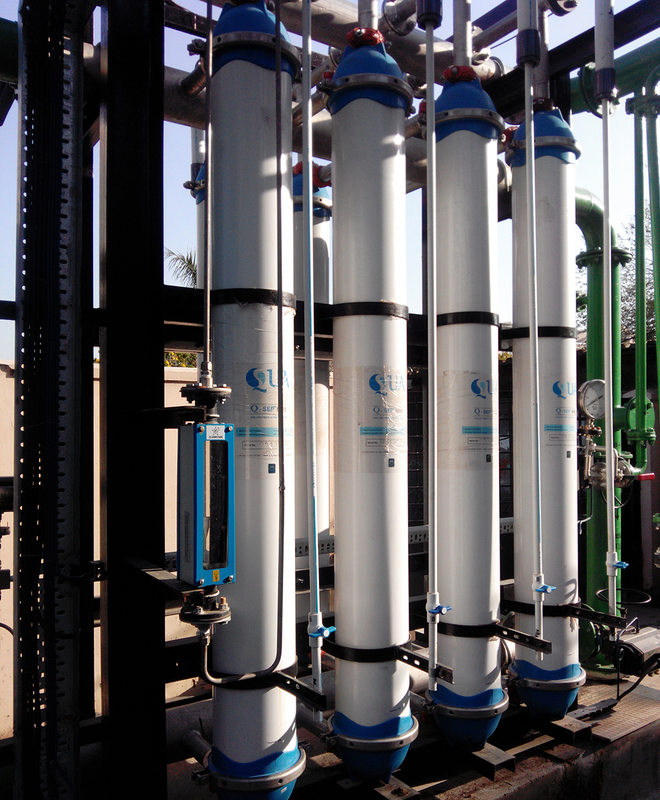 The Q-SEP system follows a pretreatment process comprising of a clarifier, a multigrade filter, a basket strainer and precedes a reverse osmosis treatment system for tertiary treatment. The UF system comprises 52 modules of Q-SEP 6008 arranged in two trains with 26 modules each. Each train has 2 parallel rows of 13 Q-SEP modules each. 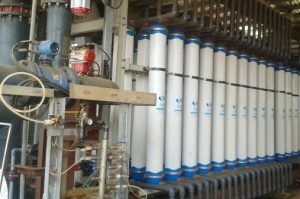 The UF system is designed to operate in dead-end mode. 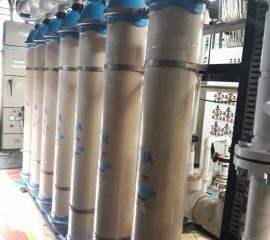 The UF system was commissioned in January 2015, and has been performing satisfactorily since then, and is able to provide a consistent permeate output of 100m3/hr in each train. The Trans-membrane pressure (TMP) has been consistently below 1 bar. 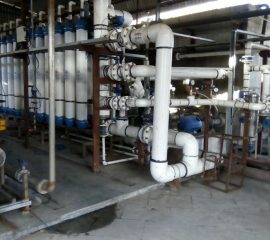 Chemical Enhanced Backwash (CEB) is done once a day. The product water turbidity is consistently less than 0.2 NTU and the output SDI consistently below 3 since startup.